Monday, June 18, 2018 @ 6:00 p.m.
c. Corresp. from Dep. Director of Engineering Guy Singer, dated June 8, 2018, requesting council authorize the S/S Dir. to issue a special permit to allow for an earlier start time of 4 a.m. for the Baumhart Road Improvement project. per Cod. Ord. 511.05.
a. OH Dept. of Liq. Control's notification of an application for a new D5 permit for Happy Jacks LLC DBA Mangines @ 229 Colorado Avenue, Lorain, Oh. a. Charter Communication's ltr dated May 10, 2018, detailing their recent submission of the first quarter franchise fees totaling $189,447.57 with the City Treasurer. b. Pat McGannon Surveying LLC, dated June 3, 2018, addressing various concerns regarding the gas line reconstruciton in the City of Lorain. c. Email correspondence received from Abbey Gleason suggesting the City of Lorain consider passing a tobacco use ordinance that would prohibit tobacco use in all city parks, playgrounds and beaches in the City of Lorain. a. ___ Reso recognizing and commending the 2018 Lorain International Princesses and the Lorain International Association. b. ____Reso repealing Reso. No. 33-16, accepting the revised amounts and rates as determined by the budget commission and authorizing the necessary tax levies and certifying to County Auditor. c. ____Reso repealing Reso. 45-17, and accepting the revised amount and rates as determined by the budget commission and authorizing the necessary tax levies. d. ____Reso amending Reso. No. 1-18, The Rules of Council, Council Rule 41 - Conduct, passed on Jan. 2, 2018.
e. ____Ord amending Ord. 177-14, Section 1219.02 of Chapter 1219 Planning & Zoning Code and Ord. 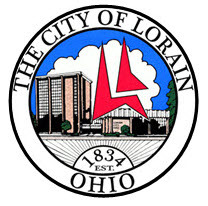 186-85, Section 1191.13 of Chapter 1191 of the Codified Ordinances of the City of Lorain. f. ____ Ord auth the acceptance and transfer of certain real property generally located at 301 Broadway in the City of Lorain, Ohio. (Motion is required to amend by substituting the ordinance with the corrected/revised version (see rev. ord.). g. ____ Ord Auth the Mayor to submit applications to the OPWC Integrating Committee for year 2019 funding (Round 33) for the replacement or rehab of certain roadways within the City. h. ____Ord authorizing the Safety/Service Director to enter into an agreement with Utilitec for utility billing services for the Lorain Utilities Dept. i. ____Ord authorizing the Safety/Service Director to accept a grant from LC Solid Waste District and execute all necessary documents. k. ____ Ord amending Chap 1523 "Unsafe Buildings" of the Lorain Codified Ordinances by adding an additional section numbered 1523.15, to the existing Chapter 1523.
l. ____ Ord auth the S/S Director to enter into an agreement amending contract C-18-014 with Terminal Ready Mix, Inc for the Lake Erie Outfall Project. ____ Ord amending Section 2 of Ordinance 69-18 to provide the terms of bonds anticipated. 12. COMMITTEE CALLS: Public Hearings will be held on Monday, July 23, 2018 commencing at 6 p.m. to discuss two applications for rezoning a.) 2221 E. 42 St. from B-1 to B-2 for a service station; and b.) 3120 Kolbe Road & parcels from R-3 to B-1A for medical office buildings. The Lorain International Festival will be held June 22-24 at the Black River Landing. The Lorain International Parade will be Sunday, June 24 at 11:30am in Downtown Lorain.